Bill grew up in Northumberland in the north-east of England. He graduated with a BA in Law from Oxford University (Worcester College) and has an MA in Criminal Justice and a PhD from Brunel University. 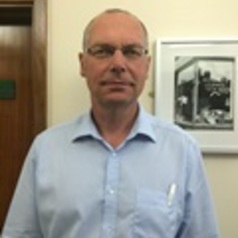 After working for third sector organisations in India and the UK, in local government, and as a researcher for the Law Society and the Police Foundation, Bill has held academic posts at Brunel University, the University of Cape Town and Keele University. He was appointed as Professor of Criminology in the School of Sociology and Social Policy at Nottingham in July 2014. Bill has particular expertise in policing, racially motivated offenders and crime, crime control and criminal justice in post-apartheid South Africa. Bill's current research interests are in crime, crime control and the development of criminology in post-apartheid South Africa. His most recent work has been on the background to the shooting of 34 striking miners at Marikana in South Africa's North West Province on 16th August 2012.